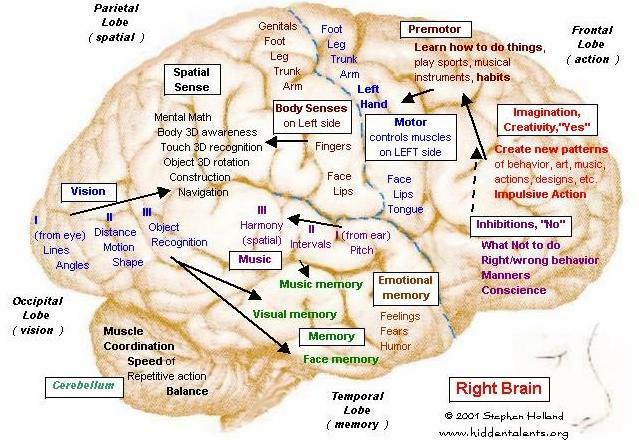 Right-brain? 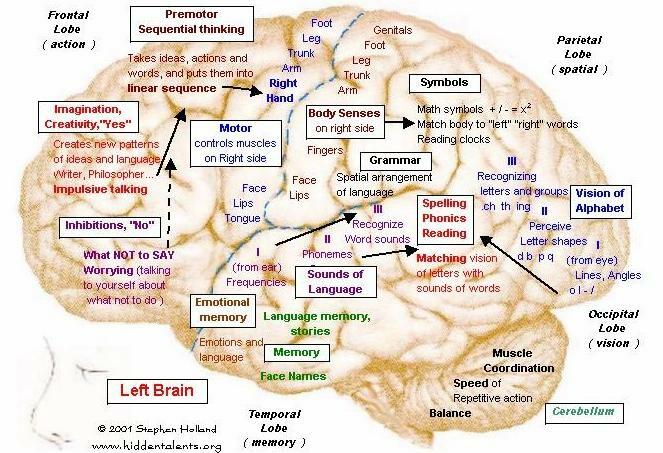 Left-brain? What's your Kiersey temperament? Right now on the ACFW course loop (a benefit I highly recommend taking advantage of if you are a member of this wonderful group), Janice Hanna Thompson is hosting a course entitled U.N.I.Q.U.E. As I've been hiding in "lurkdom" I've spent a bit of time reading the comments and pondering the way God wires us as individuals and as writers. 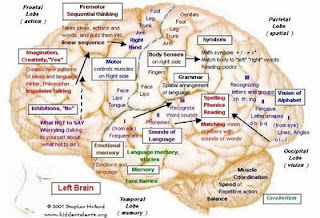 For instance, I found I'm almost evenly split between left brain (51%) and right brain (49%). I love making lists and I love plotting my stories. I have notebooks of story ideas. 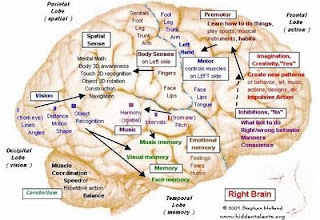 I think this is the left brain side of mlle. I can't make sense of commas. I love thinking of new and different ways to teach an idea. Yet I am the ultimate klutz when it comes to putting those ideas together in a practical way. Yes, most of the elementary school students can put together a simple craft better than I can. One thing Janice talks about is allowing our strengths and weaknesses to naturally influence our writing. Personality wise I'm a melancholy. How can I use that to influence my writing? This means I have to seek out encouragement at certain times. When I'm feeling discouraged about my writing I take out a letter from someone who has helped me with my writing. I can also channel these melancholy times as when I'm introspective sometimes I'm able to best explore my characters. What comes naturally in terms of writing time? This is a busy season of life for me as I homeschool my children. We all go through different seasons. Something that works for a while may have to be changed. Distractions? Can you deal with them? Are you a sit down in the midst of it and take a minute here writer? My children are constantly on the go and I am not one who can write well with children jumping on my lap, begging for another cup of apple juice, or asking me to sound out a word for them. In different seasons writing may fall at different places on our priority lists. Right now what works for me is half an hour of uninterrupted writing time when my kids are in bed. I tried to utilize large blocks of time several times a week and implement a word count. My word count has been higher since I ditched the word count and changed my routine to something that seems to work well for me. What kind of space do you like to write in? While taking a class this spring I found out that I'm a very visual writer and love to write outside or at a coffeeshop. Nature is a great inspiration for me and I look forward to taking my laptop to the park this summer. I realize we can't always hit our ideals. Most nights I write at home in a big brown chair. But my husband is across from me and the house is quiet. A cup of tea has become a writing ritual that helps me keep focused. Here are some fun links to test your personality or your characters' personalities. I'm not a psychologist and make no claims on the accuracy of these tests, but they are fun and can give you insight into your writing style. How does your uniqueness influence your writing? Yeah, not quite sure what I was thinking when I came up with that not-so-brilliant idea. :) Now, I'm playing catch up as my boys head back to school. But that's okay. God's hand is on my writing, and His timing is best. This is really helpful. Knowing the why we are individuals can help us so much with our writing. Thanks! I am such a something shiny person. I flip from writing a blog post to researching my WIP to other writing tasks. My hubby laughs at me. In the end I mostly finish everything I started...HAH!